Humans function as a whole, with mind, body, and spirit inseparably connected. Each requires balance and nourishment for total wellness. Stress is the body’s physical, mental, or emotional response to change. And negative stress is, unfortunately, unavoidable. Anyone who eats modern food (think preservatives, pesticides, GMOs, sugar, food dyes), drinks tap water, uses personal care products, encounters other people, works a job, uses a cell phone, experiences financial difficulty, drives a car, or follows politics experiences at least some amount of it. Stress interferes with your body’s natural self-healing process. It keeps your sympathetic nervous system constantly revved up in “fight or flight” mode, rather than allowing the parasympathetic nervous system to dominate with its “rest and digest” calming response. This imbalance causes your body to break down and not function as it should. According to the American Institute of Stress, numerous emotional and physical disorders are linked to stress, such as anxiety, depression, insomnia, headaches, hypertension, heart attack, stroke, autoimmune conditions, peptic ulcer, GERD, obesity, diabetes, and degenerative neurological disorders. And this list is far from exhaustive! The many health implications of stress make learning to better manage it imperative. We must learn how to flip on the switch to the parasympathetic nervous system, which supports our digestion and absorption of nutrition, diverts blood to our internal organs, relaxes our muscles, and gives our physical body the opportunity to repair itself. There is good news! YOU can co-manage stress with your body. It’s true! You really can become increasingly calm, relaxed, centered, mentally clear, and refreshed despite your circumstances. There are a variety of simple, natural solutions for easing stress that can be incorporated into your daily life: meditation, prayer, journaling, practicing yoga, keeping a daily gratitude log, body brushing, and detox baths, to name just a few. One of the best and most effective solutions, however, is using high quality essential oils – alone or hand-in-hand with some of these other practices – to support your health and wellness needs. Science has discovered that the sense of smell (olfaction) is related to several areas of the brain that process emotional expression, behavior, sensation, and essential body functions. For this reason, the power of essential oils can be felt simply by inhaling them, which provides an opportunity for their aromatic molecules to interact with the chemical sensors of the brain. 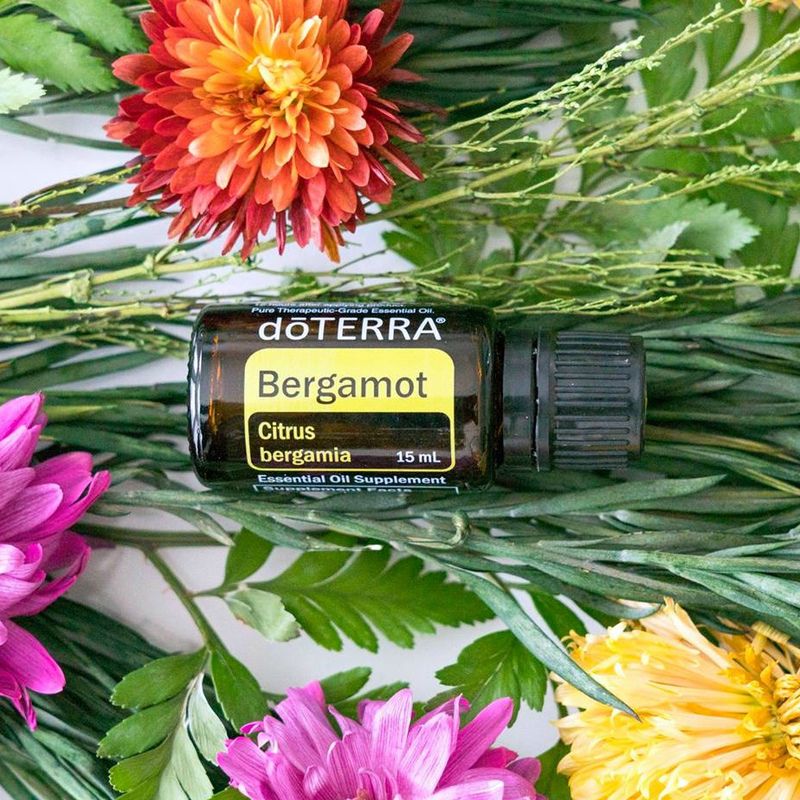 Some essential oils, for example, have uplifting or invigorating effects, while others are more calming, soothing, or relaxing. 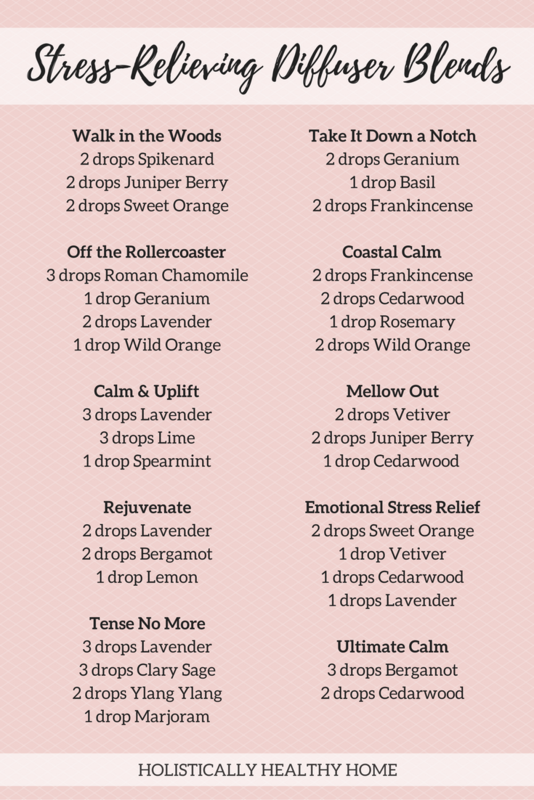 Here are some awesome stress-busting diffuser blends to get you started! Why use these particular oils? And are there ways to use them beyond diffusing? Either read on or download my free natural stress reduction ebook, which contains all the recipes and tips below, plus much more! 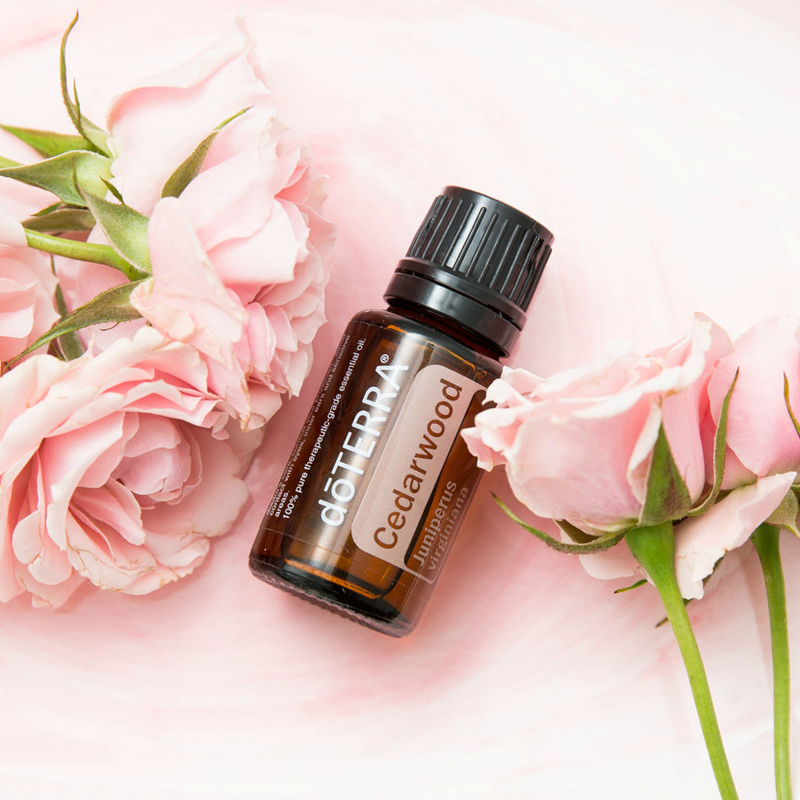 Ritual for Better Sleep: To help yourself fall asleep, add one drop of cedarwood to a carrier oil that works for your skin type. Massage into your cheek bones, temples, trapezius muscles, and between your eye brows right before bedtime. 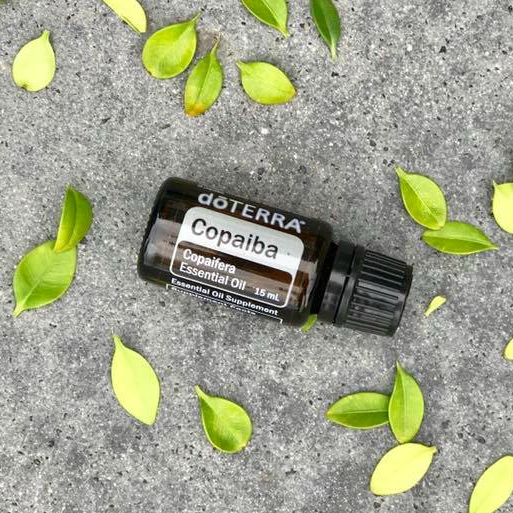 When facing a stressful day ahead or feeling worried, diffusing Copaiba’s woody scent can help calm any anxious feelings you may be experiencing. For sudden onset of overwhelming anxious feelings: Diffuse 3 drops Copaiba + 3 drops Blue Tansy. Diffuse one drop each for children. Or apply a bit to the back of the neck. 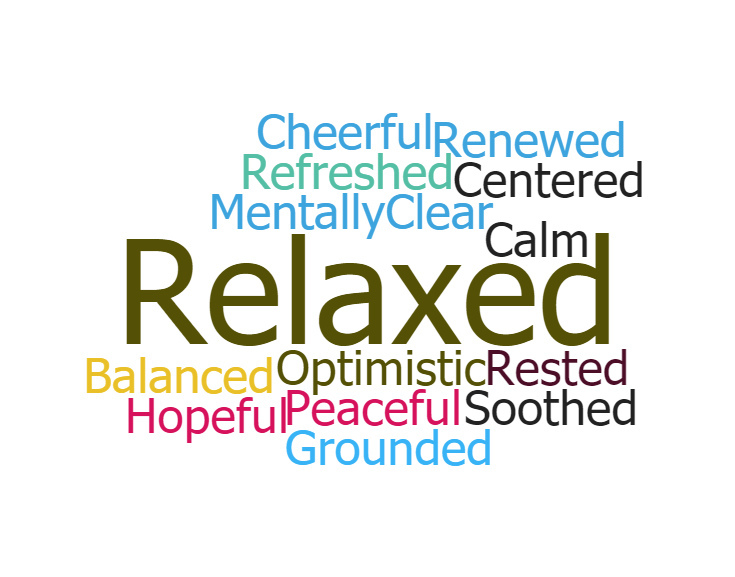 Mood Stabilizer: Apply to the bottoms of your feet and on the back of your neck to relax and balance mood swings. For meditation, prayer, or practicing yoga: Before you begin, rub two drops of Frankincense between your palms and cup your hands around your nose. 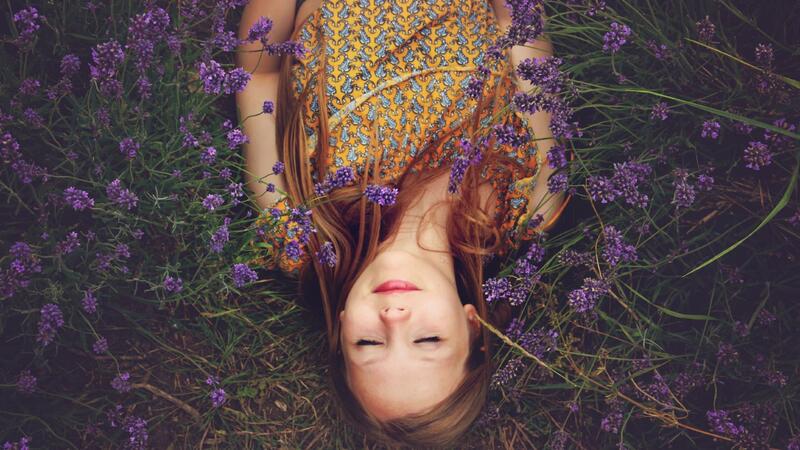 Breathe in the scent deeply a few times to feel more relaxed, at peace, and focused. 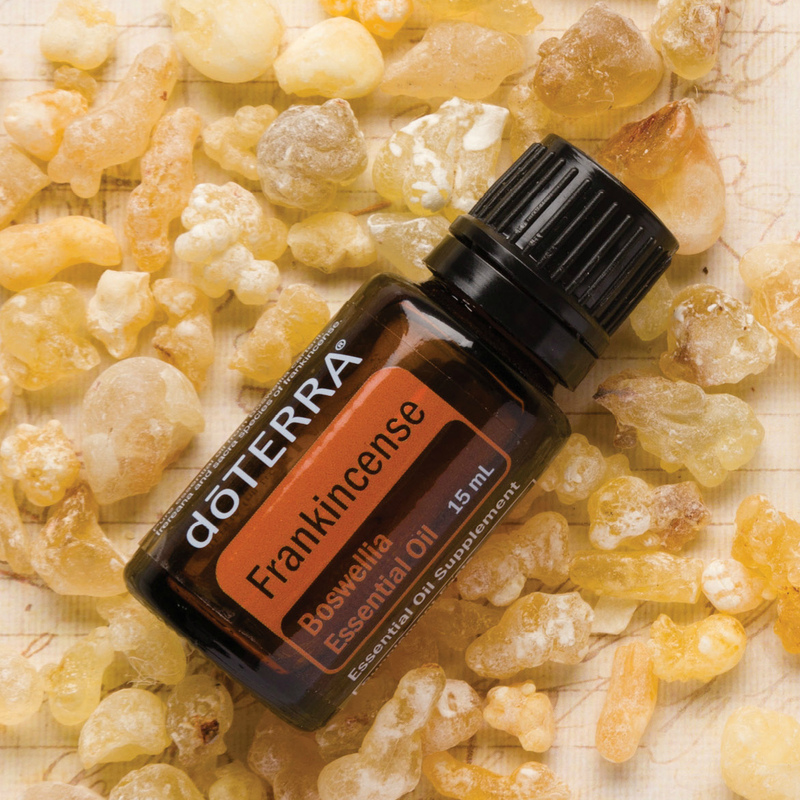 Or diffuse equal drops of Frankincense and Sandalwood during such times. 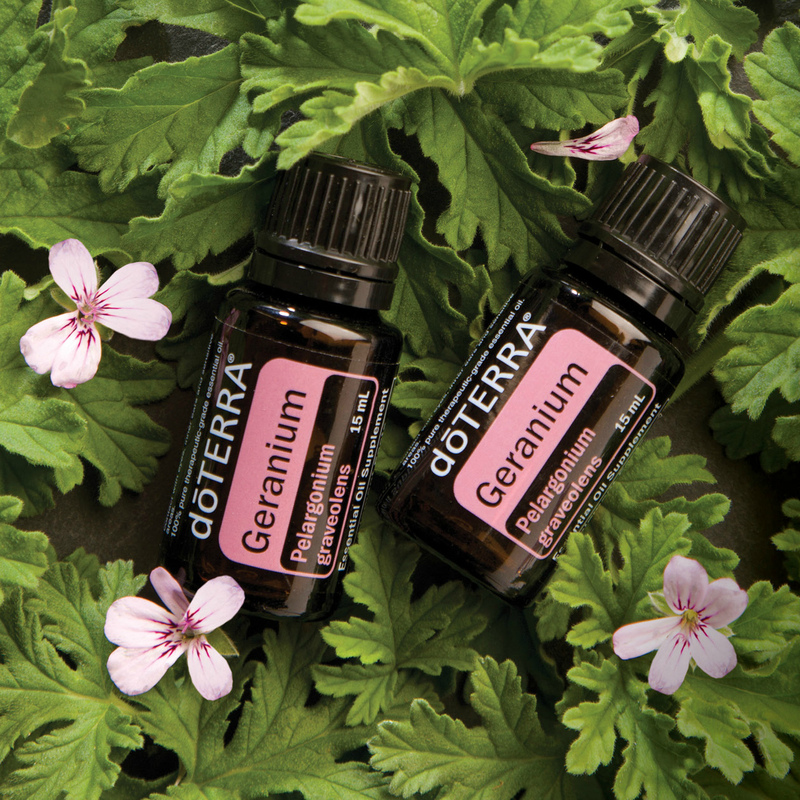 Frayed Nerves Roller Blend: 6 drops Geranium + 5 drops Wild Orange + 4 drops Lavender + 3 drops Clary Sage. Add to a 10 mL roller bottle and top off with fractionated coconut oil. 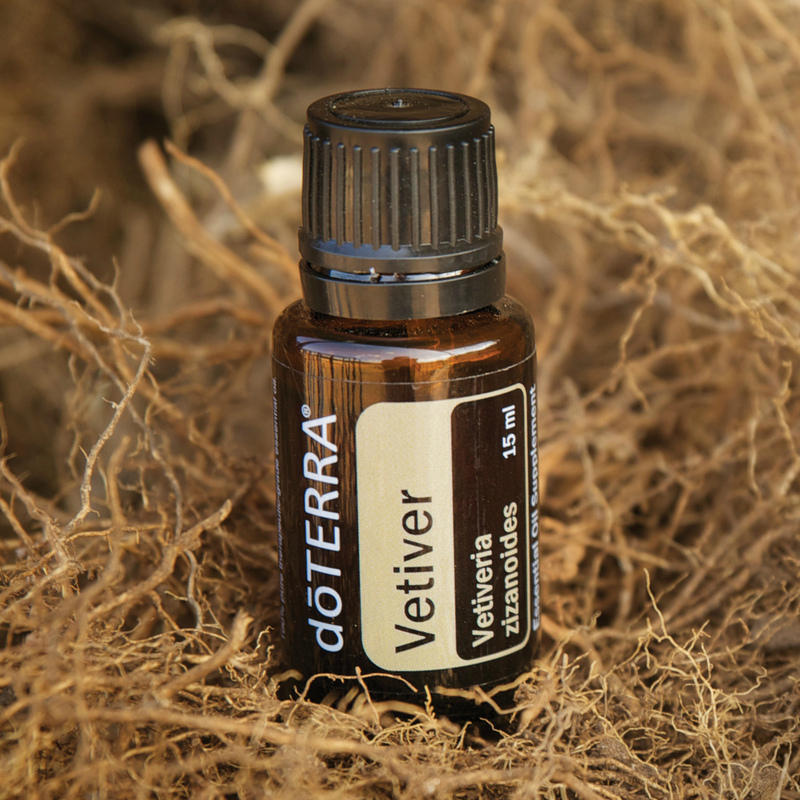 Use as often as needed on back of neck, wrists, inner arms, and chest. 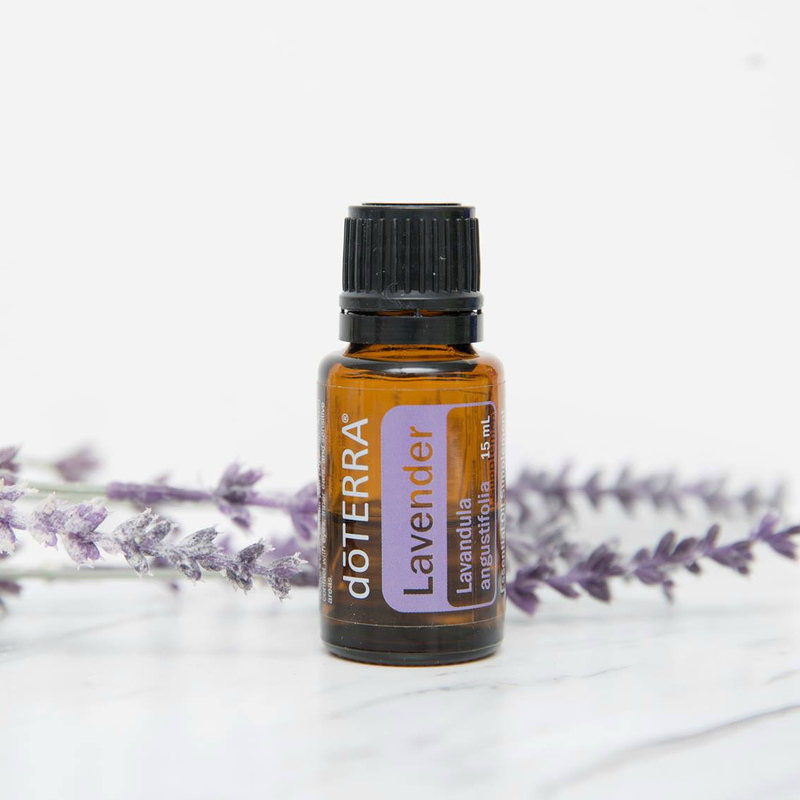 Lavender Fields Bath Blend: Combine 1 tsp carrier oil + 4 drops Lavender + 2 drops Wild Orange + 1 drop Ylang Ylang in a glass bowl. If desired, mix in 2 cups Epsom salts before adding to hot bath water. Light & Lovely Room Spray: Combine 10 drops Lavender + 10 drops Bergamot + 8 drops Wild Orange + 6 drops Siberian Fir + 2 drops Sandalwood in a 4 oz glass spray bottle. Fill with vodka or water. Shake well before using. helpful for decreasing agitation in those who are emotionally exhausted. Uplift Your Mood: Apply to the pulse points on your wrists, neck, or the sides of your forehead. 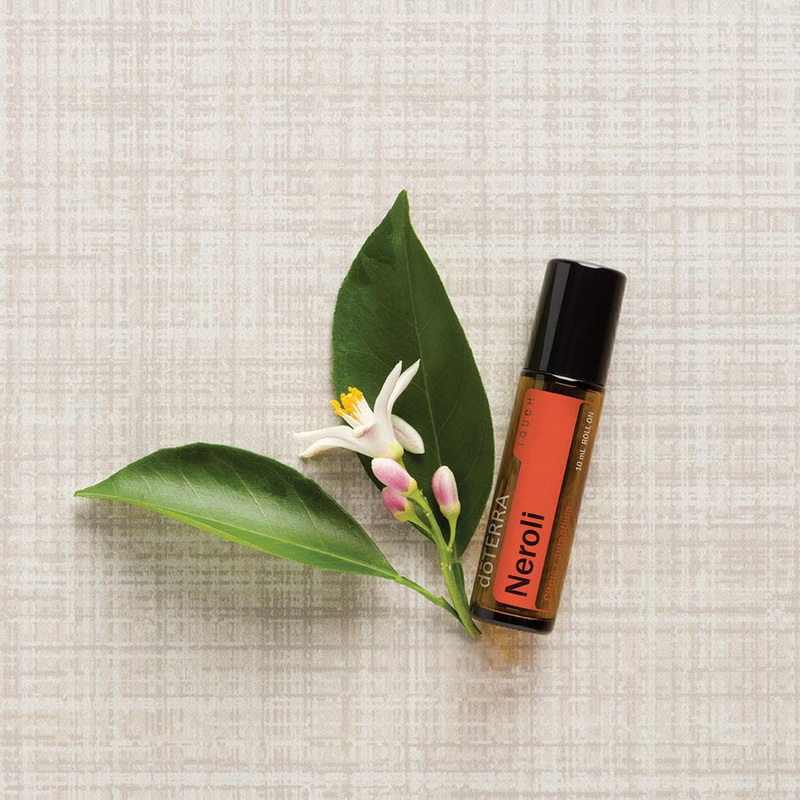 Or add a drop of Neroli to a small amount of your favorite unscented lotion or cream. 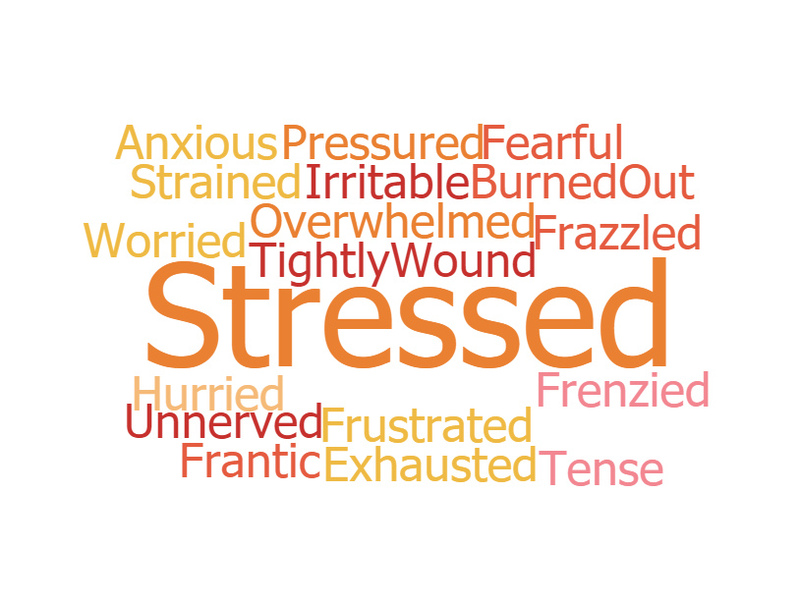 Feeling Anxious or Frazzled? Apply Neroli to your palms and cup your hands around your nose. Breathe in the scent deeply a few times to feel more relaxed and at peace. Float Away with Florals Massage Oil: Combine 8 drops Neroli + 4 drops Lavender + 3 drops Ylang Ylang + 3 drops Marjoram + 1 oz fractionated coconut oil in a glass dropper bottle. Massage your neck, shoulders, back, and reflexology points on the feet to release mental and emotional tension, nervousness, or anxious feelings. 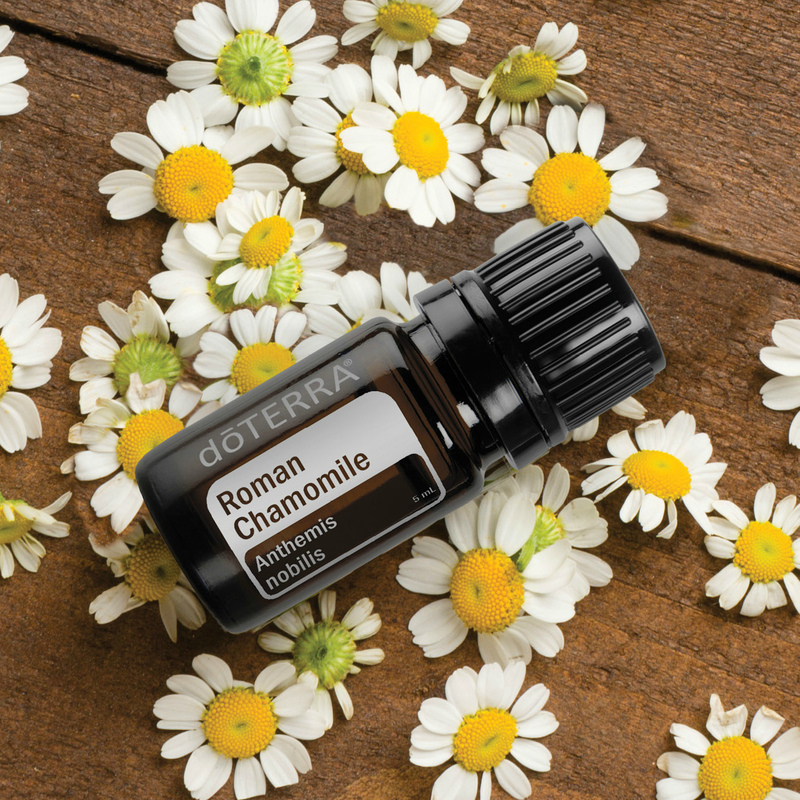 Calm Amidst the Storm Massage Oil: Combine 10 drops Roman Chamomile + 5 drops Lavender + 3 drops Vetiver + 1 oz fractionated coconut oil in a glass dropper bottle. Massage over your temples and reflexology points on your feet when feeling overwhelmed. provides support for dealing with persistent anxious feelings, nervous tension, emotional wounds, and difficult circumstances. 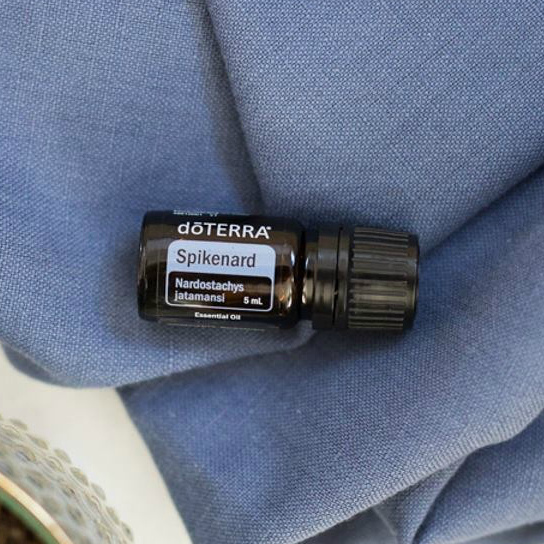 Finding Balance Massage Oil: Blend 7 drops Spikenard + 5 drops Wild Orange + 2 drops Lavender + 2 drops Vetiver + 2 drops Sandalwood into 1 oz (28 gm) cream or carrier oil. Massage gently into belly and feet. 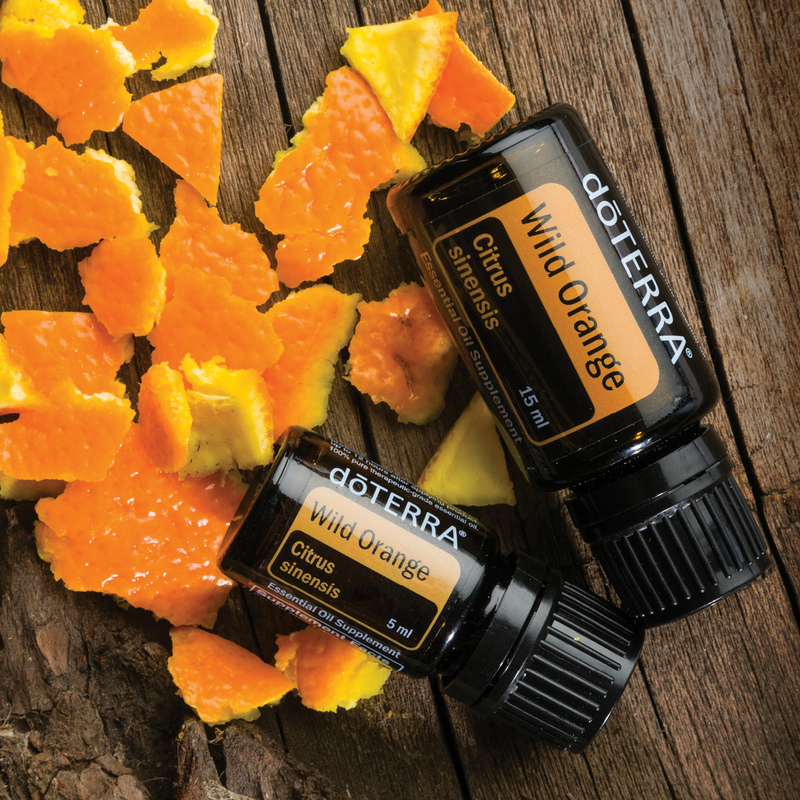 In clinical studies, simply smelling Sweet Orange has been proven to trigger the brain to relax. Centered Bliss Bath: Combine 1 tsp carrier oil, 4 drops Vetiver, and 1 drop Grapefruit in a glass bowl. Mix in 2 cups Epsom salts before adding to hot bath water. Soak for 15 – 20 minutes. Want to learn about additional stress-busting essential oils, plus get all these recipes and many more in one handy place? Click the button below to download my ebook, Essentials of Stress Reduction! It's FREE! I'd love to help you learn more about these oils and how to get them at the best possible prices. Click here to schedule your free 30-minute wellness consultation, during which we will customize a daily usage protocol to fit your particular needs! Welcome! The mission of Holistically Healthy Home is empowering people to thrive by finding tailored natural solutions to support every health and wellness need. I’m passionate about helping people rid their homes of toxic cleaning and personal care products, as well as stabilize their emotions, get better sleep, improve their digestion, decrease their pain, and increase their energy with essential oils. This is a process, best undertaken a step at a time. Join me on this journey! Any of the links on HolisticallyHealthyHome.com may be affiliate links from which I receive a small commission from sales of certain items. I really appreciate your support! Thank you!! !